Anyone who’s ever had the misfortune of suffering through heartbreak can agree that it’s one of the worst experiences ever. But, thankfully, there's hope — nothing will get you through the pain like a list of empowering Christina Aguilera songs. Even those who feel as if they're poor, downtrodden souls wading in misery and the utter hopelessness of love lost — Xtina has a song for you too! While it feels like heartbreak’s single-handed mission is to shroud someone's existence in isolation, and sporadic crying sessions, it doesn’t have to be the way. I beckon you to come forward to the light and remedy your achy breaky heart by listening to some Xtina songs about love that will definitely pull anyone out of a funk. Now, I’m no post-relationship expert, but there are quite a few Aguilera songs that always manage to evoke my inner Superwoman — even when I’m so far down in the dumps that I’m below sea level. So, trust me when I say that if you happen to be feeling down and dirty at the moment (and not in Xtina's raunchy, double-R kind of way), these seven Christina Aguilera songs will go a long way towards mending your shattered heart... one jagged little piece at a time. Who knew Disney movie soundtracks were so full of heartbreak wisdom? Listening to "Reflection" will help anyone suffering from a love hangover get their minds off the pain and on becoming a better version of themselves. 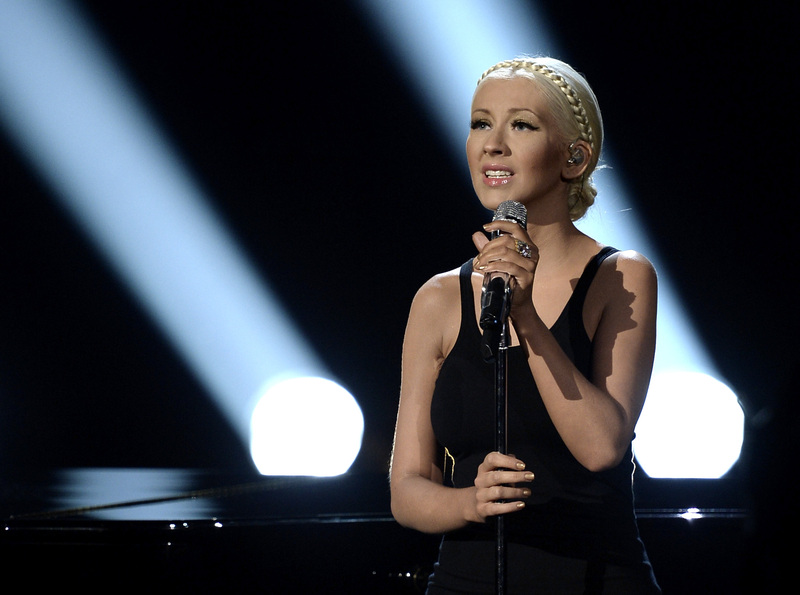 This Xtina tune is all about saving the best of you for yourself. This is the perfect raging tune that surfaces when you realize that an ex wasn't worth your time in the first place. Here, Xtina addresses those who doubted her, but it can still be used as a subtle reminder that working through rough times requires a good support system.. Consider this song lyrical warfare against heartbreak. It may sound dramatic, but heartbreak can feel like a total soul-stealer — so arm yourself for the fight with the lyrics "'cause you won't break me/ You won't break me/ You can't take me down, no." Getting over a romance gone wrong tends to do a major number on self-confidence, but hearing Xtina sing "I am beautiful no matter what they say," should totally help to silence that inner critic that only makes the breakup woes feel even worse. What did I tell ya? Just call her Xtina: Heartbreak expert.